What if we changed the way we think about such events, though? What if, instead of focusing on the wind-speed of a typhoon or the magnitude of an earthquake, the first points of discussion were about the human aspect and impact associated with a specific event. How would this summer’s events be framed? It’s a crucial distinction; natural disaster is in some ways a paradox in terms – although the hazard, or physical manifestation, of a hurricane or earthquake is natural, the impacts, and thus the disaster, are entirely a result of human exposure and vulnerability. Let’s first explore some of the most dramatic themes from this summer’s disasters, and then try and put them in this new human context. What links this summer’s events? The recent Hurricanes – Yutu, Willa, Florence and Michael – encapsulate well the intensity and frequency at which we’ve seen disasters come over the last few months. Earthquakes, storms, droughts and wildfires have all caused havoc in a hugely diverse spectrum of locations, and while the specter of natural hazards is always present in many parts of the world, there seems to be something more intense and urgent with respect to this summer’s catastrophes, especially in the media coverage. The availability of smartphones and the proliferation of social media use means we can see ever more easily from the safety of our homes what others experience in terror during disasters; who could forget the scarring imagery from the earthquake and tsunami in Lombok in September, as houses were tossed about like toys as the ground turned to liquid. Elsewhere, Japan experienced a plethora of hazards as flooding, typhoons, landslides, earthquakes and drought brought a whole range of challenging conditions which caused a large number of fatalities, despite Japan’s status as one of the best prepared countries in the world for natural hazards. Much of the media discussion related to disasters has focused on the links between hazards and climate change, and whether the severity of events like Hurricane Florence can be attributed in part to anthropogenic emissions. While it has historically proven difficult to attribute the strength of different storms to climate change, this summer marked the first time scientists attempted it in earnest while an event was taking place – some researchers argued that the rainfall forecast for Hurricane Florence was 50% higher than it would otherwise have been, although such estimates are still in their infancy. What is clearer from scientific predictions of future climate change is that storms will likely be stronger, wetter and slower moving, suggesting similar intense storms could become more normal. 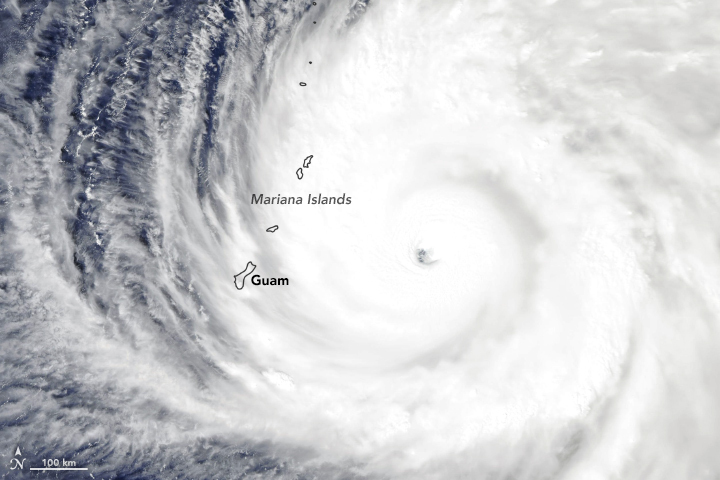 Beyond tropical storms, records were broken by other catastrophes. The Northern hemisphere wildfire season was among the worst we’ve ever experienced on record, at least in terms of acreage burned. 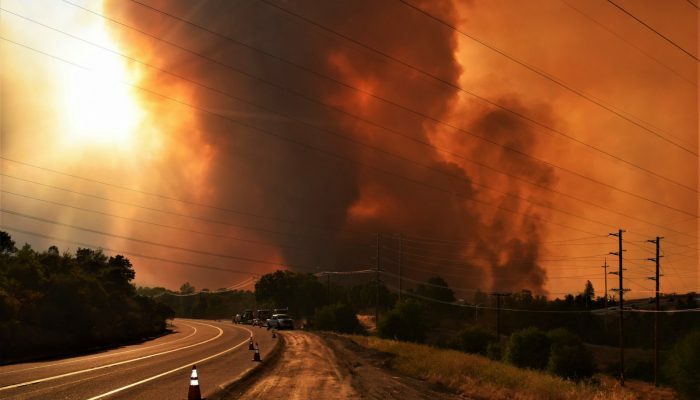 Californian fires were so intense that smoke was noticeable on the East Coast, while the extent of fire in western Canada was second only to the cataclysmic fires last year. Abnormally warm temperatures in Scandinavia prompted wildfires to break out north of the Arctic circle, an extremely rare and concerning occurrence. While it’s interesting and important to discuss the potential for increased storm severity as a result of climate change, it seems that this should only form a part of the larger discussion: how will trends in climate co-evolve with trends in human exposure and vulnerability to hazards? Similarly, why focus on the numbers associated with a disaster – the earthquake magnitude, the depth of flooding, acres of forest burned – when we could instead look at who has been impacted, and how to prevent this in the future. It’s especially important to frame the ‘cost’ of a given event in this context. Often, we think of cost in either loss-of-life or financial terms, but it’s worth considering those as functions of exposure and vulnerability. For example, Hurricane Florence, which recently made landfall on the US eastern seaboard, is likely to cost 40-50 billion US dollars. 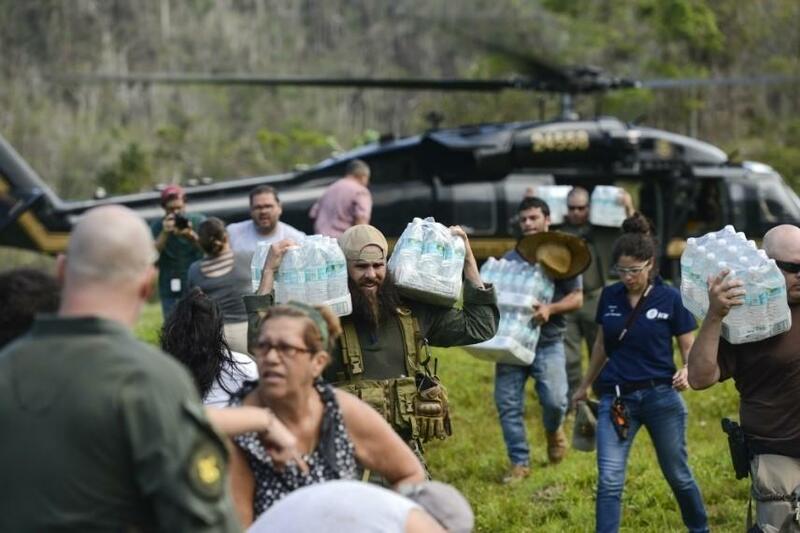 Compare this to Hurricane Maria, which devastated Puerto Rico in 2017; some estimates for the cost of the storm were around 100 billion US dollars. While Hurricane Maria cost roughly twice as much as Florence, the relative impact on Puerto Rico was far greater than that value would imply. The vulnerability of the economy of Puerto Rico to a disaster of that scale was far higher than the mainland US; with a GDP of over 10 trillion US dollars, the US economy can absorb shocks like Florence, but the GDP of Puerto Rico declined by a massive 8% in the aftermath of Maria. It is worth noting that Puerto Rico is in fact a territory of the US, and received federal funding to assist with recovery – so the economic impact might even have been more severe without it. We can build the same framing for loss of lives; countries with well-developed disaster response and recovery mechanisms suffer significantly fewer fatalities in the face of a similar magnitude event to a poorly equipped country, all things being equal. 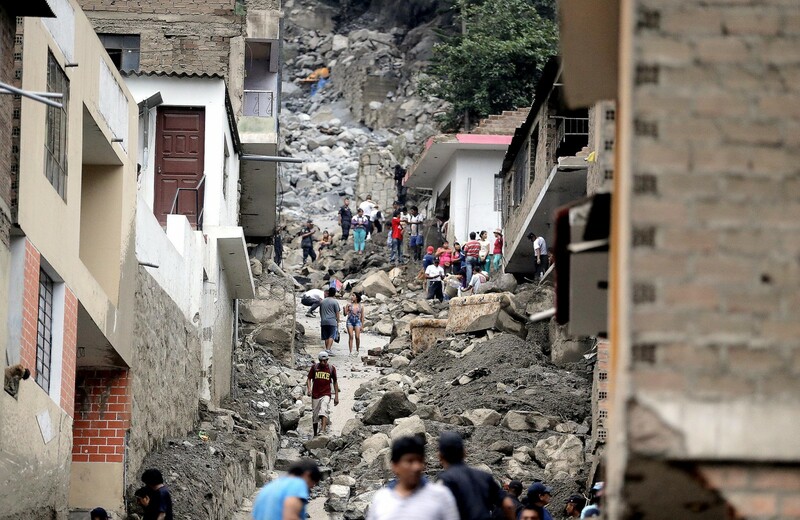 This kind of social vulnerability to disaster is difficult to quantify, and encompasses a range of aspects including cultural awareness of natural hazards and healthcare expenditure, but it has to be considered alongside the trends in hazard intensity. I would argue that coverage of (and research related to) disasters needs to shift away from the headline numbers, like skyrocketing costs or the increasing intensity of storms and wildfires, and instead discuss whether disasters are hitting harder in places that are more vulnerable, or whether the relative economic or human exposure to a given type of disaster is worsening or not. While it’s fascinating to see images of multiple hurricanes over a single basin, it’s an incomplete picture unless the risk is incorporated. Reframing our vision of disasters would put the focus squarely on where inequality and climate change interact; if more vulnerable developing countries or regions are expected to be more exposed to disasters under a changing climate, then there is real potential for inequalities to be exacerbated – and this is indeed what the UN anticipates will occur. More fundamentally, reframing would help us shift away from a coldly analytical perspective of ‘disasters by the numbers’ and instead consider where the worst impacts would be, and who the people at risk are. While trends in the developed world indicate fewer and fewer deaths from disasters over the last 100 years, many countries don’t have the same capacity to absorb shocks. The human tendency to dwell on the extraordinary, and the ephemeral nature of modern news coverage certainly encourages reporting to focus on the records broken by a given event. Perhaps it’s futile to add another voice to the many that have already asked for more context and temperance from such coverage, but it seems important to highlight that there may be other ways to cover disasters; those affected may benefit greatly, in both the long and short term. Editor’s note: This is a guest blog post that expresses the opinion of its author, whose views may differ from those of the European Geosciences Union. We hope the post can serve to generate discussion and a civilised debate amongst our readers. This guest post was contributed by a scientist, student or a professional in the Earth, planetary or space sciences. The EGU blogs welcome guest contributions, so if you've got a great idea for a post or fancy trying your hand at science communication, please contact the blog editor or the EGU Communications Officer to pitch your idea. The European Geosciences Union (EGU) is Europe’s premier geosciences union, dedicated to the pursuit of excellence in the Earth, planetary, and space sciences for the benefit of humanity, worldwide. GeoLog is the Union’s official blog, which is edited by the EGU Communications Officer Olivia Trani and has a number of contributors. Would you like to write for GeoLog? Check the Submit a Post page for more information. GeoPolicy: Science in policymaking: Who is responsible?